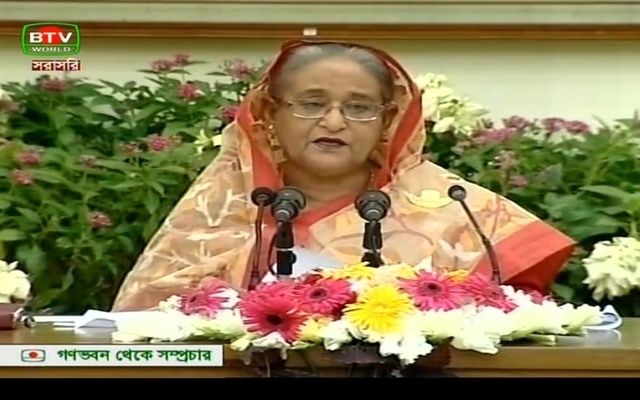 Prime Minister Sheikh Hasina on Wednesday hoped that all political parties will join the upcoming national election and if any party does not take part, it will be its own decision. “So, many political parties are there [in the country]. It’s their own party decision which parties would join the polls and which won’t. I hope all parties will participate in the election,” she said while addressing a press conference at her official residence Ganobhaban. Replying to another question, she said the global community is putting pressure on Myanmar to take Rohingyas back to their homeland. “All are worried over the issue. All countries are creating pressure on Myanmar to take the Rohingyas back,” she said adding, “I hope, all the political parties will participate in the national election. If any party doesn’t join the polls, it’ll be their own party decision.